I give hereunder the copy of the letter received from the Department of Expenditure on the issue of upgradation of grade pay of LDC & UDC. A similar letter addressed to FA, DoPT with copy to Shri M Krishnan, Secretary General Confederation has been posted in this web site on 30th November. Association's view was that the LDC & UDC are common cadres and spread over the entire Government of India offices and as such upgradation in a particular Department or some Departments through cadre restructuring is not possible. As such with the support of Confederation our Association had decided to file a case so that the upgradation of Grade Pay to these cadres may get w.e.f. 1.1.2006. And the preparation for filing the case is under progress and we expect the same would be filed by 1st week of March. The undersigned is directed to forward herewith letter No. 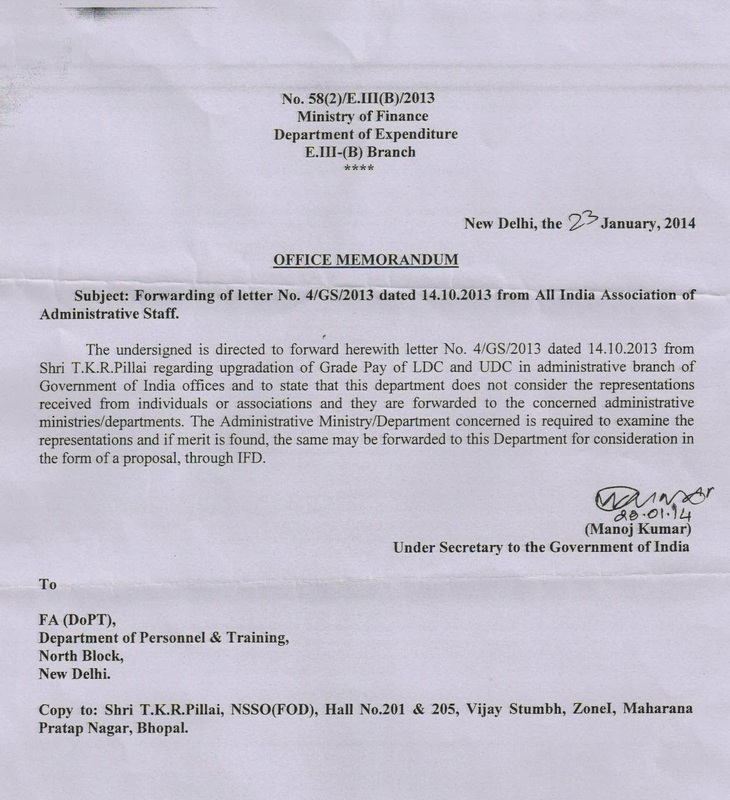 4/GS/2013 dated 14/1-/2-13 from Shri TKR Pillai regarding upgradation of Grade Pay of LDC and UDC in administrative branch of Government of India offices and to state that this Department does not consider the representations received from individuals or association and they are forwarded to the concerned administrative ministry/departments. The administrative Ministry/Department concerned is required to examine the representations and if merit is found, the same may be forwarded to this Department for consideration in the form of a proposal, through IFD. Shri TKR Pillai, NSSO (FOD), Hall No. 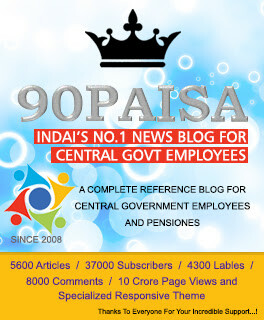 201 & 205, Vijay Stumbh, Zone I, Maharana Pratap Nagar, Bhopal.